I cannot wait to kick 2017 to the curb. It’s been a truly terrible year in my neck of the woods. We’ve had to deal with lots of sickness and loss this year, and then there’s all the stuff the new administration has been doing to break our spirits. I am hoping that 2018 will be better. To close out the year, I wanted to update you on some of the things I wrote about in 2017. In November, I wrote about our new foster dog, Wolfie. He has settled in here, and he’s about a million ways of cute. At first, he wouldn’t sleep through the night, now he is at least doing that . . . BUT, now we kind of know why his last foster home kept him doped up on Diazapam. He barks All. The. Time. I guess it’s not unusual for the Maltese breed to be so vocal, but if you have any tried and true ways to get a dog to stop barking (that doesn’t involve a shock collar) shoot me an email, or tell me about it below, in the comments. In October, I wrote about losing our boy, Waldo. To be completely honest, our hearts are still broken. I am having a very hard time with the loss – but I think I finally figured out why. We have lost a lot of pets over the years, but each time, the animal was old or sick, and we had given him/her palliative care for months before he or she had died. Not so with Waldo. Outwardly, he seemed pretty much OK, right up until the time we put him down. But once we knew how he’d been silently suffering, and what the prognosis was, our path was clear to us. So there was no extended palliative care, no diminishing of mental faculties. One day he was here, and the next he was gone, and the suddenness of that is what has made it all so hard. Everything we look at reminds us of him. We weren’t feeling festive this year, and chose not to celebrate Christmas because: the presents, the snow, the tree, the snacks, the annual card — it was all Waldo Waldo Waldo Waldo Waldo. One day the loss will soften, but I think that’s still a ways off. I know some people will bristle at me comparing it to this, but I think this is what it must feel like to lose a child. In August, I wrote about Jeb, a hound dog we knew who had been neglected. I pondered the question of how can a person say they “love” their dog, when they are not willing to take care of even the dog’s basic needs? Jeb’s owner put him down a few weeks after we took him to get his nails clipped. In March, I asked my readers to advocate. I told you about Alyssa Duvall, a young woman in Calhoun Georgia, who got mad at her dog and beat the cowering animal with a frying pan. Duvall was arrested (http://www.fox5atlanta.com/news/police-woman-arrested-for-hitting-dog-with-frying-pan) and charged with misdemeanor animal cruelty. I was not able to locate any court records or sentencing for a follow up. If you know how this case turned out, please let us know in the comments. In February, I wrote about Evangers Pet Food that was recalled because it contained Pentobarbital, the drug used to euthanize pets. The FDA reviewed a bill of lading from Evanger’s supplier of “Inedible Hand Deboned Beef – For Pet Food Use Only. Not Fit For Human Consumption” and determined that the supplier’s facility does not have a grant of inspection from the United States Department of Agriculture’s Food Safety and Inspection Service. Testing by USDA-FSIS of Evanger’s Hunk of Beef confirmed that the meat used in the product was bovine (beef). The investigation by the FDA is ongoing and includes examination of the suppliers of beef to Evanger’s and Against the Grain to determine a possible cause for the presence of Pentobarbital. In May, Party Animal Pet Food filed a lawsuit (http://truthaboutpetfood.com/party-animal-sues-evangers/) against Evangers for $20 million, citing breach of contract, breach of warranty, and fraud. Whether or not Evangers will recover from this remains to be seen. On the personal front, we still have not found a childrens book publisher to take on my first children’s book, Why Am I? Here’s hoping 2018 is much, much better. 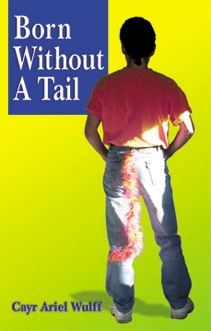 C.A.Wulff is an author, artist and animal advocate. She has been involved in pet rescue for over twenty-five years. She has written two books about her true-life adventures living with an ever-changing house full of pets: Born Without a Tail, and Circling the Waggins, and a guide to animal advocacy using the Internet as a tool: How to Change the World in 30 Seconds". Wulff also writes a pet column and book review column for the Examiner, and is a contributing editor for AnimalsVote.org. She attributes her love of animals to having been raised by Wulffs. 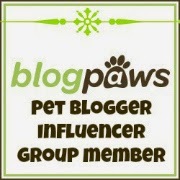 This entry was posted in Random Woofs and tagged animal abuse, animal advocacy, books, C.A. Wulff, dog food, Dog Food Recall, dogs, Evangers, FDA, foster dog, grief, loss, Up On The Woof. Bookmark the permalink.